Alberta 55 plus Zone 5 Black Gold / Yellowhead Seniors Association would like to acknowledge and congratulate Geraldine Lawrence. 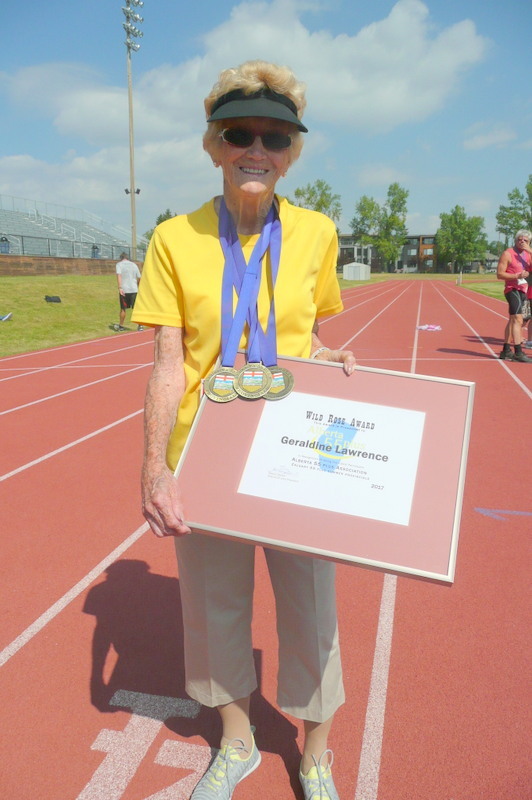 Geraldine Lawrence was the “Oldest Participant” in the Summer Provincials held in Calgary, August 10 & 11, 2017. She joined Alberta 55 plus as a member in 2014 and competed in Strathmore, Alberta in 2015 in Athletics. 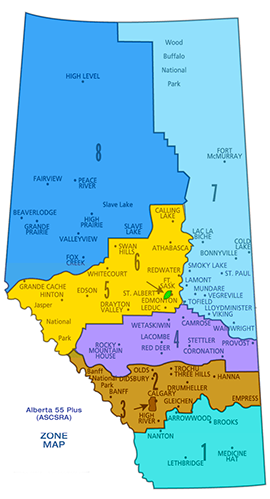 The Provincial Coordinator is responsible for the daily administration of Alberta 55 plus.